Joshua Sharp of www.CompleteIRA.com is one of the most highly touted experts in retirement planning and investing. He turns the topic of retirement planning into a very exciting episode by illuminating some modern approaches to investing and growing wealth within tax free structures. 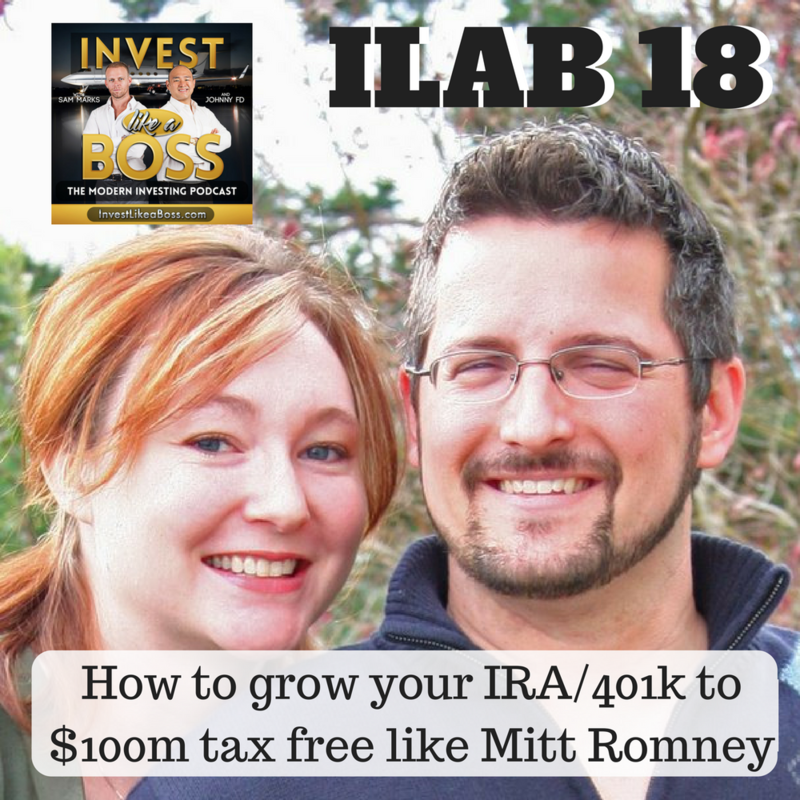 We dive into how Mitt Romney was able to generate $100m in tax free earnings in his IRA, and most importantly navigate some real world examples to give the listeners a shrewd example of how they may consider better structuring their own accounts. If you have ever wonder how IRAs, 401Ks, SEPs and a variety of other structures may be utilized to optimize your retirement savings than this is a great episode for you. We took a lot away from this episode and are making changes in our own retirement planning. 45:25 – Will the Government mess with our retirements? 1:14:00 – Is there a minimum age for retirement plans?